Baird, an employee-owned, international capital markets, wealth management, private equity and asset management firm, today announced that it has added public finance banker Jeff Fivecoat as a Director in its Columbus, Ohio Public Finance office. With more than a decade of health care financing experience, Fivecoat will expand Baird Public Finance’s existing national health care effort. 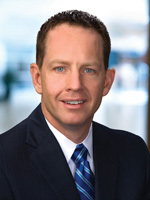 For the past five years, Fivecoat was a Vice President and lead originator in the Hospital Finance Group at Red Capital Group (“RED”), a Columbus-based provider of integrated debt and equity capital to the multifamily, student and seniors housing and health care industries. Prior to his time at RED, Fivecoat served as Director of Finance at OhioHealth from 2004 to 2007. Fivecoat holds a M.B.A. degree in accounting and marketing from Ohio State University and a bachelor’s degree in Economics from Colgate University. Baird is an employee-owned, international wealth management, capital markets, private equity and asset management firm with offices in the United States, Europe and Asia. Established in 1919, Baird has more than 2,700 associates serving the needs of individual, corporate, institutional and municipal clients. Baird has more than $94 billion in client assets. Committed to being a great place to work, Baird ranked number 21 on the FORTUNE’s “100 Best Companies to Work For” in 2012 -- its ninth consecutive year on the list. Baird’s principal operating subsidiaries are Robert W. Baird & Co. in the United States and Robert W. Baird Group Ltd. in Europe. Baird also has an operating subsidiary in Asia supporting Baird’s private equity operations. For more information, please visit Baird’s Web site at rwbaird.com.